Q: How did you remember Harvey on the anniversary of his death? A: We just happened to be meeting up with friends at a New York style Deli. To my delight I noticed that they served Egg Cream. I first heard of this New York specialty in my childhood reading of Louise Fitzhugh’s Harriet the Spy. To the uninitiated, an Egg Cream contains neither egg nor cream but rather chocolate syrup, milk, and fizzy water. But after all these years, I had actually never tried one. But for the sake of Harvey, I was determined, but was not entirely sure what to expect. The waitress set it before me, a tall glass filled to the brim with frothy goodness. At the first sip I exclaimed out loud that how could I have been missing this my whole life! It reminded me of a personal favorite of mixing fudge ripple ice cream with ginger ale (I’m so much more healther these days!). And as I sipped and sipped, I hoped that Harvey, somewhere in the ethers, was enjoying it with me. 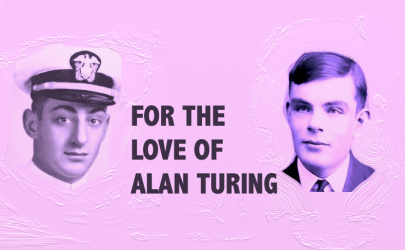 Don’t miss out on the latest news about my novel featuring Harvey: FOR THE LOVE OF ALAN TURING. Sign up for the newsletter below. Support my Harvey Milk-Alan Turing novel series on Kickstarter.